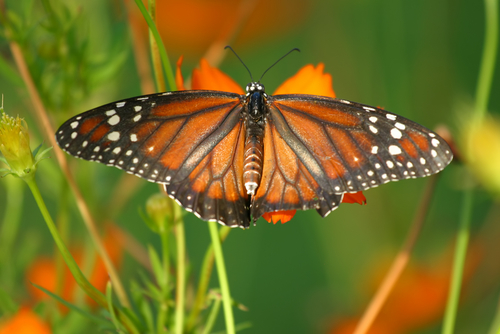 Commission plans, like butterflies, are hard to pin down – and there are myriad variations! Superfeet Worldwide LP is a fast-growing company. Until recently, their commission calculation problems seemed to be growing almost as fast as their sales. Superfeet grew out of Northwest Podiatric Laboratory in Washington, one of the world's premier podiatric orthotic laboratories. Northwest Lab pioneered the development of prescription orthotics, including new technologies and materials. Building on this heritage, Superfeet has become the leading innovator and manufacturer of non-prescription footbeds, holding 38 related patents. Superfeet sells though independent reps, and has negotiated a complex variety of compensation plans with them. Prior to 1999, Superfeet computed their compensation manually on every invoice. This tedious process took a week every month, and there was no way to ensure that the results were 100% accurate. Also, they needed to plan for increased sales. Because their commission rules were too intricate for any standard software available in 1999, Superfeet retained an experienced consulting firm to develop a custom commission program for their specific needs. When they found that the early versions of this program didn’t fully meet their needs, the consultant continued to refine it over a period of 3 years. In the words of Lynette Ziegler, Superfeet’s CFO, this took “lots of back and forth” between the consultant and Superfeet’s accounting personnel. “Lots, lots, lots, lots,…” she continued, gradually trailing off while reflecting on the management time that had been consumed. The original $9,000 consulting estimate ballooned to more than $40,000. In addition, the program’s complexity made it error-prone, so bug logs had to be developed and rerun procedures adhered to. However, despite the problems, this program did evolve to eliminate more and more of the manual computation. Although the process never became completely automatic, the program eventually eliminated the bulk of the work. Between 1999 and 2003 Superfeet grew so much that they would have needed almost a full-time bookkeeper to compute commissions manually, plus the accuracy and timeliness of this volume of manual computations would have been problematic at best. Therefore, the development project did pay for itself. Unfortunately, a few months after the program was perfected, Superfeet realized that it was about to become obsolete. Their volume would soon exceed the inherent design limitations of the program. In addition, they planned to upgrade their accounting database and computer workstations, and the custom program was incompatible with this new technology. Lastly, because the individual who developed their program no longer worked for the consulting firm, upgrading the program had become impractically expensive. As a result, their software vendor suggested that they evaluate CommissionCalc. Developed during 2000 and introduced to the marketplace in 2001, CommissionCalc had become the standard software application for computing complex commissions and royalties. On March 3, 2003 Superfeet saw a CommissionCalc demonstration via the internet, discussed their requirements with Flaum Technologies, and decided to try it out. On March 18 Flaum sent them a CommissionCalc workbook configured to compute their commissions. After a little fine tuning, Superfeet put this workbook into production, and it has been running trouble-free ever since. Because CommissionCalc is a commercial product with a substantial installed base of users, and is the only program produced by Flaum Technologies, Superfeet is confident that it will continue to be updated as computer technology evolves. The CommissionCalc workbook runs 8 times faster than the custom program and automates the entire calculation. Finally, CommissionCalc’s installed cost was unchanged from Flaum’s original turnkey quotation, which was a fraction of the custom programmer’s original consulting estimate. In fact, Superfeet had become so accustomed to extra charges for their complex commission rules that Ms. Ziegler wondered why she hadn’t received another invoice; she emailed Flaum “Shouldn’t we owe you more $ for all the extras you have had to do?” The answer was “no,” because commission rules which are beyond the capabilities of other software are standard for CommissionCalc – there was no extra work.